President Barack Obama told National Public Radio recently: “I shouldn’t have to offer anything.” That sounds tough, but those are words the president and his party may live to regret. As Republicans scrambled to find a way to pass funding for the federal government, the president could have extracted heavy concessions on other issues in exchange for a delay in parts of Obamacare. Instead, he just stonewalled. That highlights the premium that the Obama administration places on Republican capitulation. Following his lead, several Democrat Senators who want to repeal Obamacare’s medical device tax voted against that repeal when Republicans included it in their funding bill. Their top priority was to defend Obama’s “red line” against negotiations–to beat the GOP, not to win substantive gains for their own policy priorities. That is a major opportunity missed. If President Obama had demanded that House Republicans pass, say, immigration reform as the price of a delay in Obamacare, that would have been tough to refuse. It certainly would have put Sen. Ted Cruz (R-TX), who has led the charge against both amnesty and Obamacare, in a bind. Alternatively, Obama could have asked for action on gun control, among other issues. Yet he let that leverage slip away. In the hours before the shutdown, Republicans began to show new cracks, with moderates breaking away from a party (temporarily) following the conservative lead. Now, Republicans will face greater pressure, but they will face it together. Even if they cave, all they will do is drop their demand for changes in Obamacare. Obama will have “won” the political game–and that is all. There are two reasons for Obama’s behavior. One is that he remains committed to the belief that Republican opposition is temporary and accidental–that it is a “fever,” as he put it during the 2012 election, that can be broken after the next defeat, or the one after. He does not accept that Republicans have enduring strengths, such as the post-2010 congressional map, and that their voters’ interests transcend the party’s fortunes. 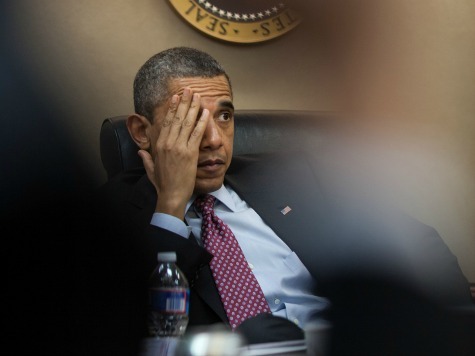 That leads to the second, deeper reason: Obama refuses to co-govern. He conflates “negotiation” with “compromise.” His model of leadership is that of a big-city mayor with vast powers. In his mind, perhaps, he is reliving the “Council Wars” of the 1980s, when Chicago’s first black mayor, Harold Washington, faced stiff (and racist) opposition from alderman in his own party. Washington eventually won that fight. But the United States is not a big city, and the Americans who elected the House majority are not the racist Democrats of the old Chicago machine. The opposition to Obama is not based on what Obama looks like, but on what he wants to do, and how he wants to do it–i.e., without opposition. Even when Republicans are willing to help, as some were on Syria, he refuses to reach out to cooperate. He wants them to go away. Some sympathetic critics of President Obama suggest that he does not like to play the “political game”–the back-room socializing and schmoozing that absorbs so much energy in the nation’s capital. That is not quite right: he was a noted poker player among colleagues in the Illinois legislature. He simply does not believe in checks and balances. He wants it all. That’s why he may walk away from the shutdown with nothing.